Rapids? Lake fishing? Surf and swell? 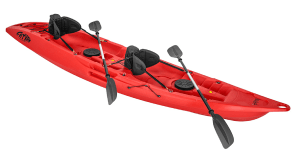 Kayaks for the larger paddler? 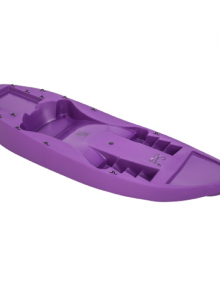 Choosing the best sit on top kayak can be a tricky task, but at Fatyak we are here to make it as simple as possible for you. 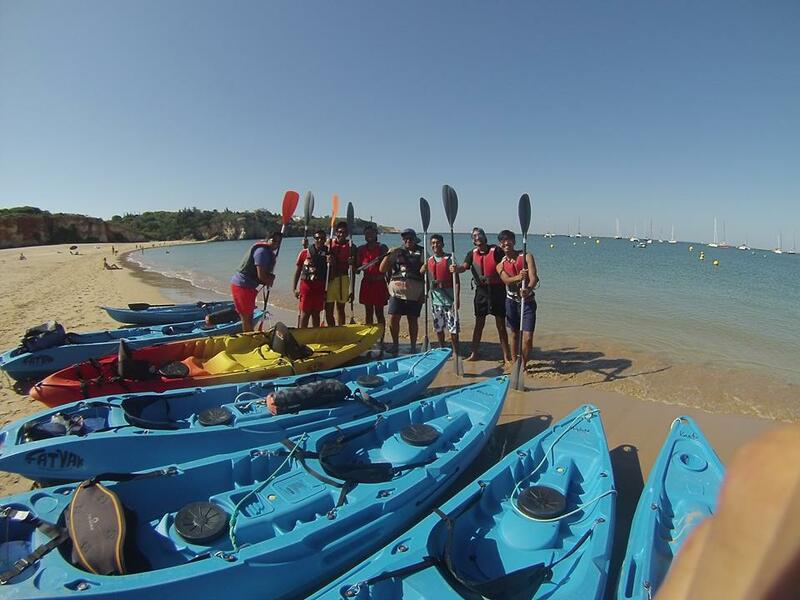 Below we describe our sit on top kayak fleet and explain which kayak is suitable for what purpose. Key benefits: Great value and versatile. 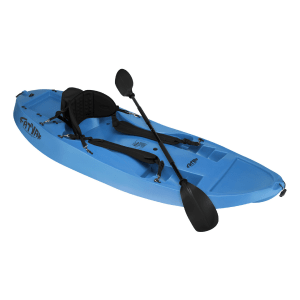 The Kaafu is a great entry level sporting kayak. It’s sporty contours and light weight offer fantastic stability in the water, while making it great for some serious racing action too. 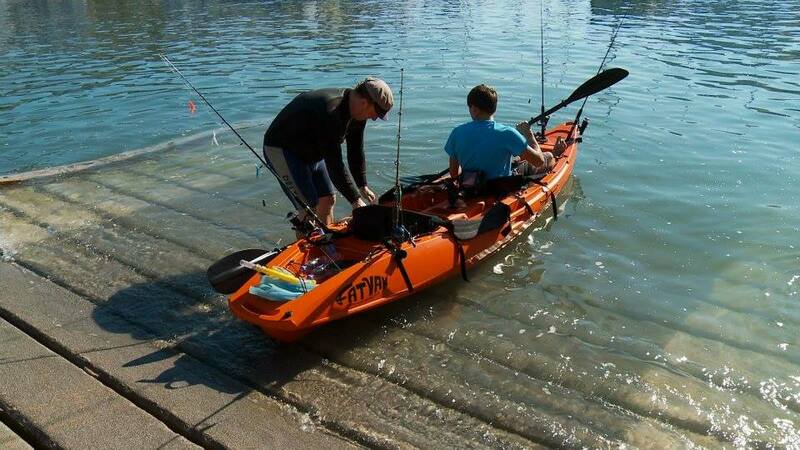 Not only is the Kaafu great for beach fun and inland paddling, with a wide range of available addons it can be very nicely adapted to make a great solo fishing kayak, with the kaddy storage hatch, fishfinder mounts and more. 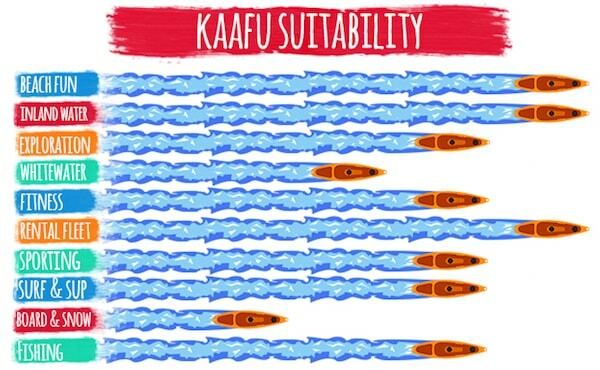 Even without those however, the Kaafu is well equipped straight from the factory with paddle parks and storage hatches as standard. Key benefits: Lighter and more durable than the regular Kaafu. 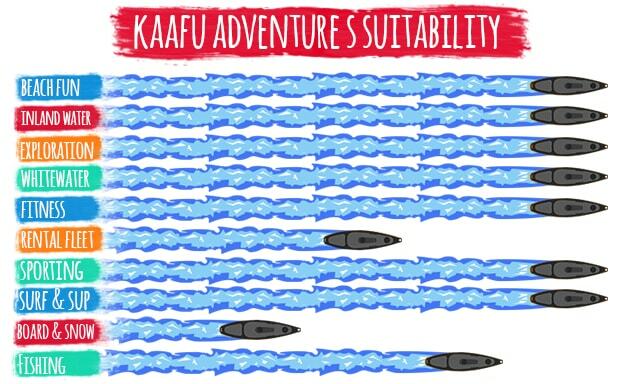 The Kaafu Adventure S kayak is a great choice for serious paddlers. 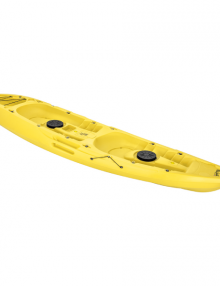 Its durability (this kayak is made from a tougher plastic than the regular Mahee) increases the lifespan of the product, especially if it is often dragged over rocks or sand. Its weight at 16kg (4kg lighter than the regular Mahee) makes it really easy to sling up onto the top of your car and carry around. 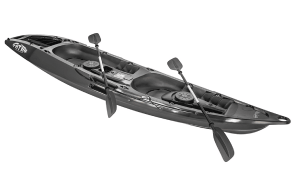 Key benefits: Great value all-rounder tandem kayak. 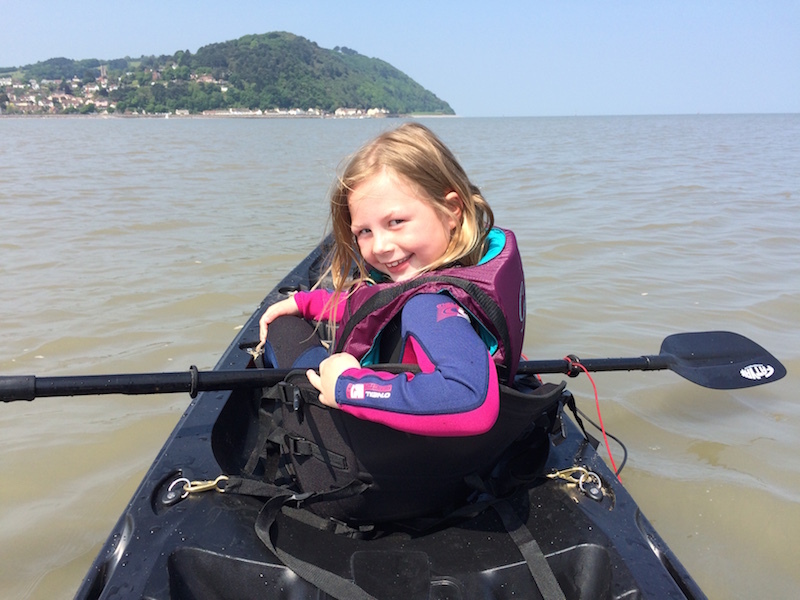 Capable of seating two paddlers, or three with a small child as part of the team, the Mahee makes a great piece of kit for some social kayaking as well as family days on the water. Of course, for those more strident in their kayaking abilities it can of course be paddled alone. It is a great option for a larger paddler (either heavier, taller or both). Simply sit at the back of the kayak and away you go. 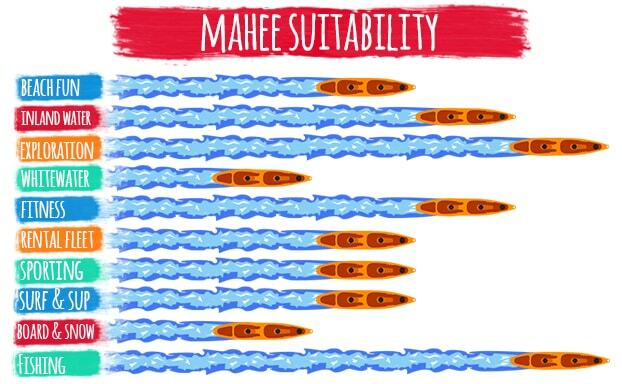 The Mahee’s relatively large size as opposed to the rest of the range makes it great for expeditions on the water, lending itself well to fishing trips or some longer exploring sessions. 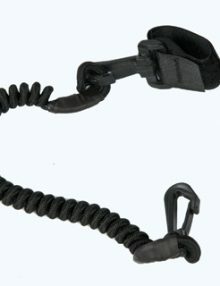 Key benefits: Lighter and more durable than the regular Mahee. 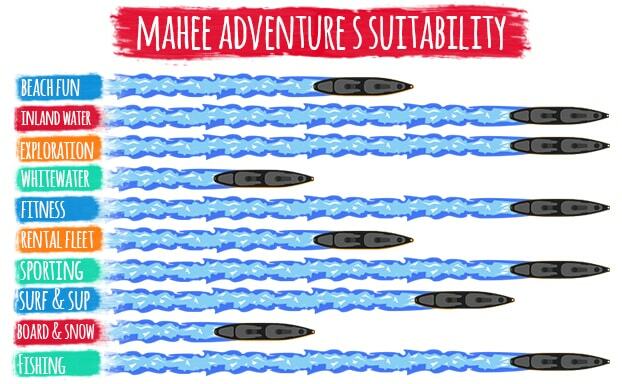 The Mahee Adventure S Tandem kayak is the obvious choice for regular kayaking trips. 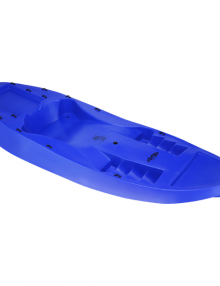 Its durability (this kayak is made from a tougher plastic than the regular Mahee) increases the lifespan of the product, especially if it is often dragged over rocks or sand. 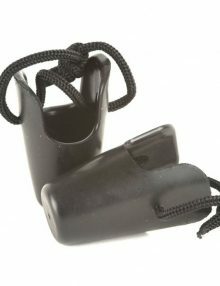 Its weight (4kg lighter than the regular Mahee) makes it that bit easier to carry. 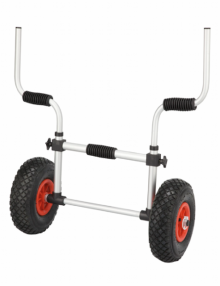 Key benefits: Lightweight, manoeuvrable and small. 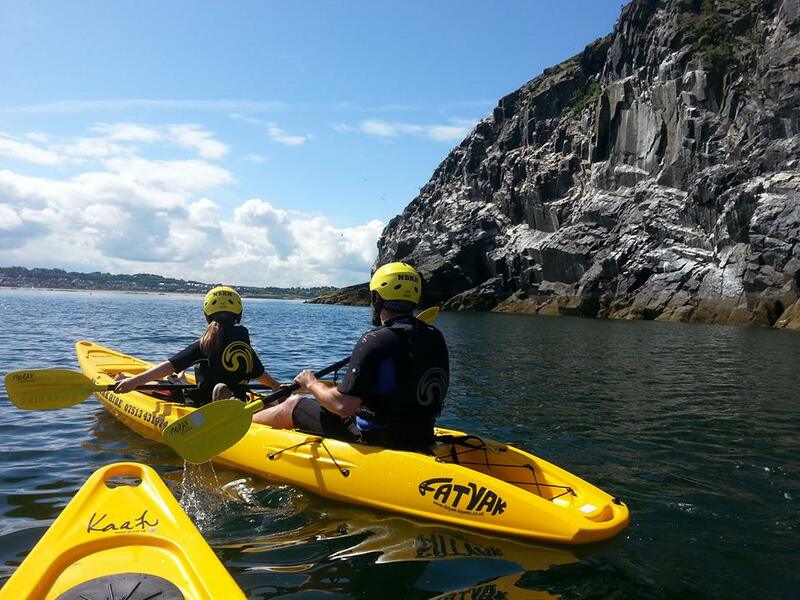 Are you just down for having some fun mucking about in the waves? Not as serious a paddler as others? 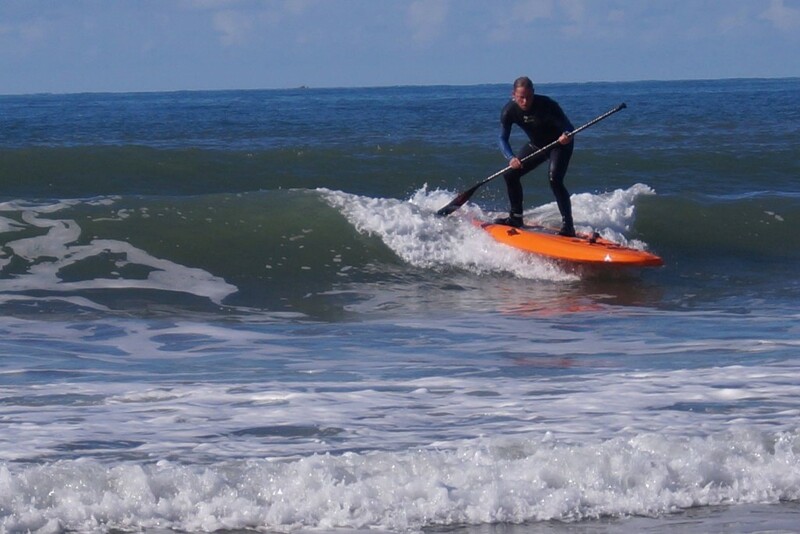 The Fatyak™ Surf could be the perfect choice for you – its the cheapest of our range making it excellent value for those who are looking to give kayaking a go, and are after an easy introduction into the vast world of paddling. 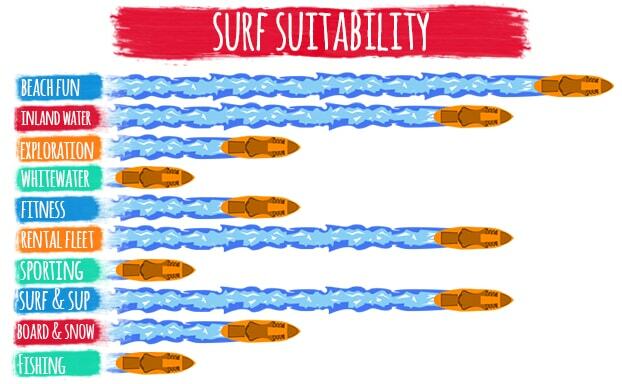 Furthermore the Surf needn’t be limited to one person’s enjoyment; the versatility it offers in its easily manoeuvrable and flexible design means it can be shared amongst the family, suitable for a wide range of ages, and is great for paddling, training, surfing, whitewater, touring, or fishing – whatever you want to make of it! Key benefits: Super lightweight, manoeuvrable and small. This is a super lightweight version of the regular Surf Kayak. 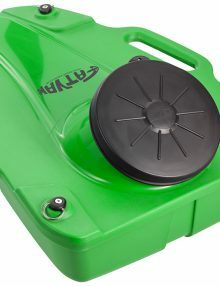 It is perfect for kids as it is easy for them to carry (only 14kg) and it is more durable than the regular Surf. 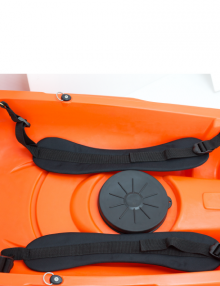 We hope this has helped you choose the best sit on top kayak for you. Let us know what you think in the comments section below!